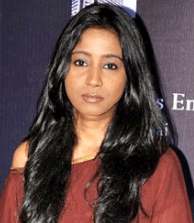 Shilpa Rao is one of the top playback singers in the Hindi music industry. Bulleya song, Khuda Jane from Bachna-E-Haseeno, Malang from Dhoom 3, Ishq Shava from Jab Tak Hai Jaan are some most famous Shilpa Rao songs. She made her debut in the year 2007 with the song Tose Naina of the film, Anwar which was offered to her by Mithoon. Rao rose to fame after singing Khuda Jane from Bachna-E-Haseeno. She was even nominated for this song. Further, she collaborated with almost all the legendary singers of Bollywood & everybody appreciated her. In the year 2012, she collaborated with A.R. Rehman for Ishq Shava of Jab Tak Hai Jaan. This song of the greatest hits & dance numbers of that year. Furthermore, Shilpa has sung numerous hit numbers in Bollywood. She is also popular for her versatility in singing. To know more about Shilpa Rao songs, check out BOTY where a separate list of all her songs has been generated. We hope you loved listening to popular Shilpa Rao songs. Basically, Shilpa Rao was born as Apeksha Rao. She later changed her name stating that Shilpa suits her more. The singer started singing at a very early age of 13. She got a big breakthrough in Bollywood after struggling for almost 3 years.